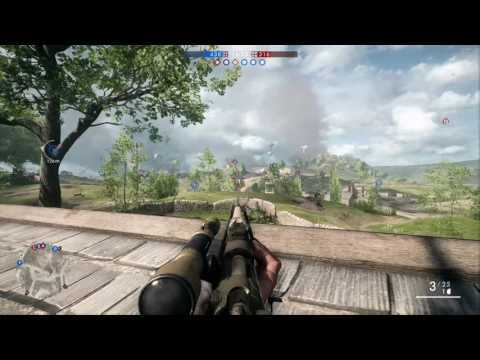 Dice what's with all the snipers?? I very seldom get killed buy a scout. and when I do it's with a handgun. probably 1 in 10 deaths is by the hands of a scout. I don't see that as an over saturation of scouts. Yes but have been shot at a lot by snipers but no hits? Yep. Hellriegel. BAR and 1907 Sweeper is what I get killed by most. sniper any sniper rifle, now compare that to how many times you have been killed by any other class, see a big difference?" Yes, I see a big difference. I get killed far more times by Assaults with HR and Medics with Sweeper/Selb 1916 than any other thing. And about K-bullets, come on... they usually just do 6 points of damage to a Heavy Tank. Id assume this is mostly a PC problem because on console i rarely die by Snipers. Scopes dont have auto rotation (lol). Meaning they are the hardest weapon to use on the console. What kills me the most are the spammy weapons. Hellriegel is number one by far, then it might be sweeper or MG.15. I play scout because im sick off facing auto rotation machines with shottys/riegels/sweepers in close combat. I still play the flags once ive done some scouting and shot a few rounds but not as agressively as i used to. Cap points are usually too small, making grenade spamming almost as irritating and trite as "desposito" on the radio. Personally, I rarely get killed by other scouts. Assault players kill me more than any other class by far. Besides killing them, there are plenty of ways to survive a scout encounter: smoke grenade to conceal your movement, suppression to throw off the scout's aim, zig-zag and slide a lot, stick to close quarters areas, spot them and let the team do the work for you... Whereas with assault, your only option is to kill them first or avoid close quarters areas which is difficult to do if you intend to PTFO. It's not a PC problem. It's a "people who stand still in the open or run in straight lines in the open or get killed by a sniper a few times and automatically assume the sniper must be OP" type of problem. 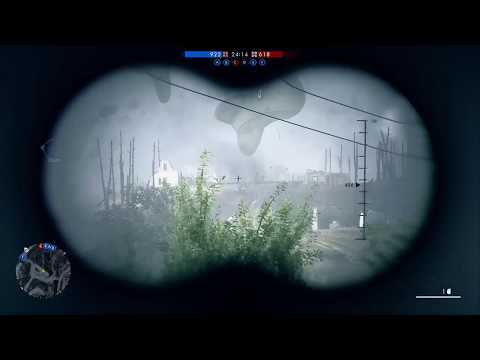 The only true problem with scouts is when you're playing an objective based game mode and half your team wants to camp on a hill and snipe rather than playing the objective. The scout class itself isn't the issue. Players choosing to play selfishly is the issue. example of why not to run in a straight line. This server was even super laggy. even if you run back and fourth, you'll get nailed eventually. these are kinda extreme examples, usually you'll be safe from snipers back this far if you keep moving. NEVER hit the dirt and go prone without cover or if you feel you can win the battle if the scout is close enough. I do this all the time with the Ribeyrolles since it's a laser gun on the bipod. Sometimes I win, sometimes I loose. all in all, if you never stop to smell the roses, most sniper scouts are nothing but scenery. it's the ones running around with infantry rifles or a pistol out that you have to worry about. Dice doesn't have to limit anything. All they need to do is to nerf this class in the oblivion in the next BF since now it's been already too late. Agreed. And to clarify, I'm not saying zig-zagging, sliding, smoke, suppression, etc. are going to save you every time, but they will definitely increase your chance of survival. A highly skilled or lucky scout might still hit you regardless, but it's a lot better than running in a straight, easy to track, line to your next destination. If you actively attempt to make yourself a hard to hit target, then your chance of survival increases drastically. I've made my way through plenty of sniper gauntlets just by zig-zagging and sliding that left me thinking afterwards, "holy sh**, I can't believe I made it through all that without dying." Zig-zagging and sliding works great for avoiding bullets from any weapon type tbh, but it's especially effective against bolt action rifles which can't rapidly spam rounds when they miss. Yet despite that, I still find plenty of enemy targets who just run straight at you or drop into prone or just stand still in the middle of a field to take a shot at some target a mile away that they can't even kill while leaving theirself completely exposed. And you're right, I worry a lot more about an enemy aggressive scout than an enemy sniper.